I'm a huge fan of summer salads--they're fresh, healthy, and don't require too much time in the kitchen. Lately I've been making a simple kale salad with a lemony vinaigrette, but I'm looking for new ideas to bring to the dinner table, especially with all the gorgeous produce that's in season now. 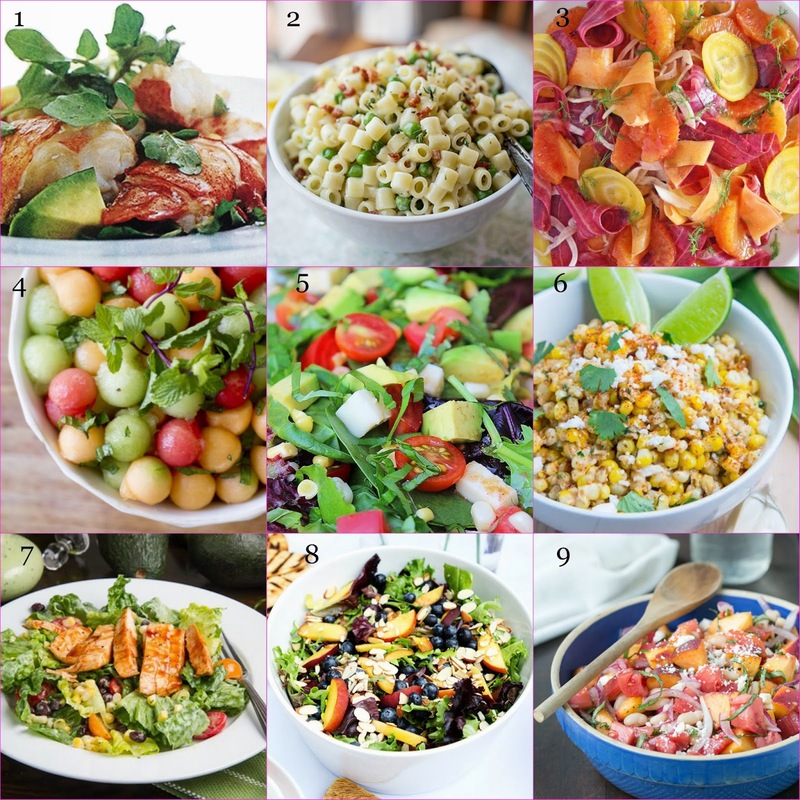 These colorful salads are on my must-try list. 1. Lobster and avocado..I mean! 2. Pancetta and fresh herbs elevate a macaroni salad. 3. I recently got into beets so this beautiful, colorful salad is definitely on my radar. 4. Melon is so juicy and sweet this time of year so a fresh salad is a must. 5. Classic caprese ingredients plus avocado and corn. 6. A corn salad is the perfect accompaniment to a backyard BBQ. 7. Since my husband likes to grill, this BBQ chicken salad will be a team effort. 8. A simple green salad with fresh summer fruit makes a great weeknight dinner. 9. Red onion and sherry vinegar give sweet peaches and tomatoes a little bite.